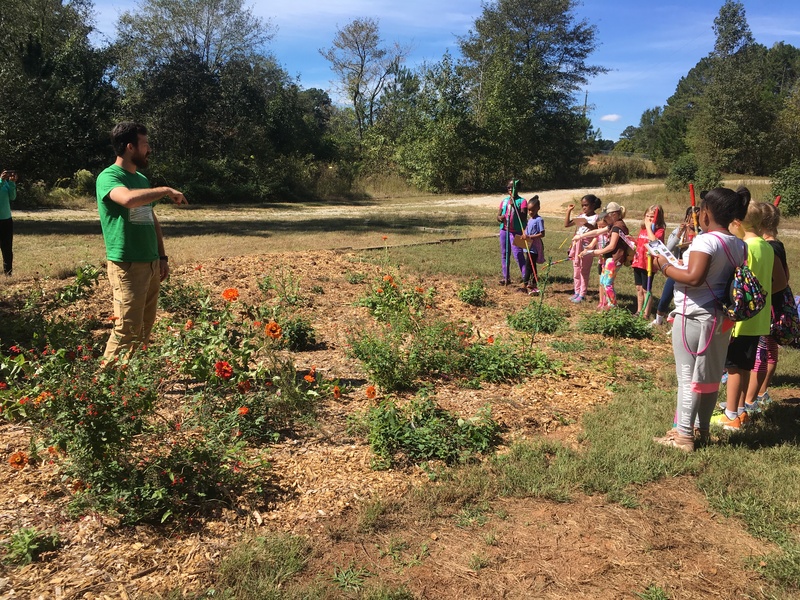 The Southern Conservation Trust offers a variety of interactive educational programs for your class or group. Our programs can be tailored to your curriculum and group objectives. We can come to your classroom or join us on a field trip to one of our six public nature areas in Fayette County. 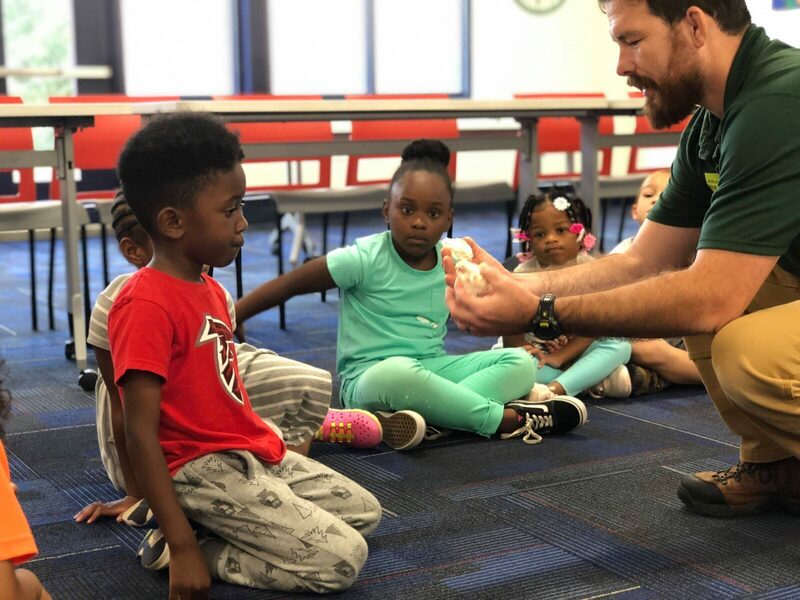 As a 501c3 The Southern Conservation Trust relies on the support of the community to continue providing experiences that educate about our environment. To cover the costs of supplies, materials, and staffing we ask for a $5 donation per participant. 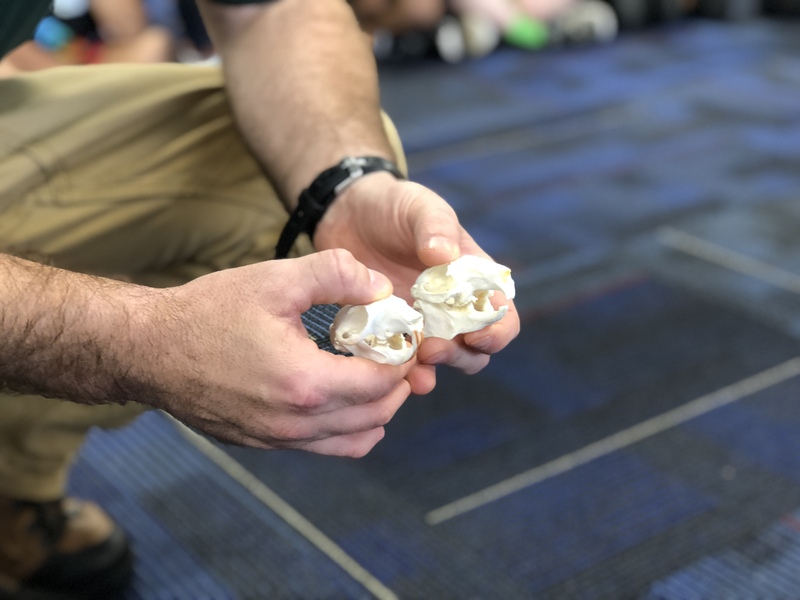 If you are interested in scheduling a program for your classroom, please email nick@sctlandtrust.org or visit our Events page, Facebook, or Eventbrite to see upcoming programs. Animal Friends – SCT Staff will bring our tortoises and turtles to help discuss native wildlife, adaptations, invasive and exotic species. What’s in that Log – SCT Staff will bring skulls and furs of animals native to our region. Discussion will focus adaptations, and the animal niches. Skulls & Furs – SCT Staff will bring skulls and furs of animals native to our region. Discussion will focus adaptations, and the animal niches. Habitats & Georgia Ecoregions – Using models and activities students will learn about the different regions of Georgia. What About Our Water – Through models and activities students will learn about watersheds, wetlands, pollution, and where our drinking water comes from. Terrific Plants & Trees – SCT Staff will bring in items to discuss what plants need to survive, native, exotic, and invasive species. Rocks of Georgia – Explore the variety of rock in Georgia and how it formed. Awesome Outdoor Adventures – SCT Staff will discuss ways to get outside and active . Participants will participate in a variety of activities. Animal Tracks – Discover what animals call our area home. We will do several activities related to animal tracks and then set out to find some of our own! Georgia Soils – When we think of soil in Georgia we think of red clay. This program will discuss other types of soil in addition to clay found in our area. The group will talk about soil formation and participate in a few dirty activities.